This classic swing tank belongs in every Seminole fan's closet! 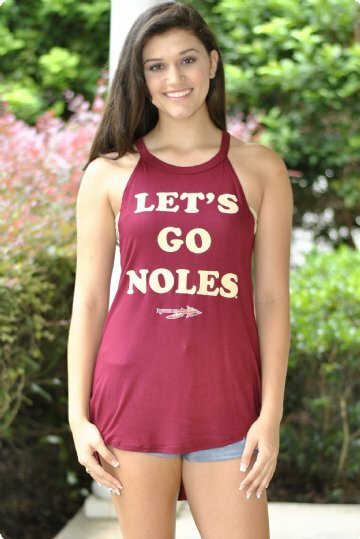 This picture perfect tank is made from super soft, lightweight fabric and features the phrase "Let's Go Noles". 95% Rayon, 5% Spandex. Hand wash cold.